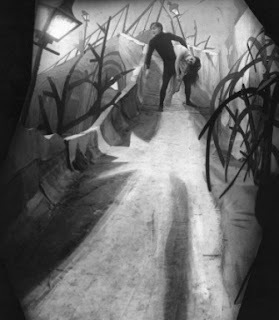 In 1920 Robert Wiene released the movie "Das cabinet des Dr. Caligari". It's a silent horror movie that belongs to the German Expressionistic film era. 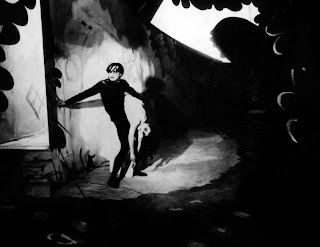 It's mood is very intense and it's no wonder arty aesthetes as Bauhaus where influenced by it - definitely a must see. 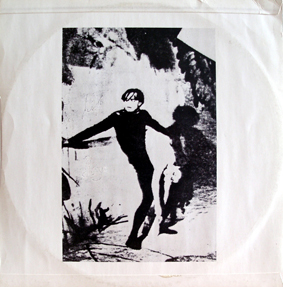 and this is the use Bauhaus did in the backcover of their first release “Bela Lugosi’s dead". It perfectly suits the mood! Check wikipedia if you need some more info on the movie. 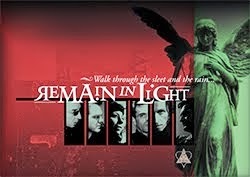 It is a great movie, and well worth watching. Thank you.